Getting back into the grind on Monday can be difficult, especially because your body (hopefully) hasn’t been confined to an office chair over Saturday and Sunday! 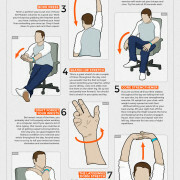 We came across this excellent desk exercise infographic from Creative Bloq, that’s meant for graphic designers, but really can be done by anyone who spends their day sitting at a desk. Leading pediatrician and child health expert, Dr. Dina Kulik, opens a one stop clinic offering pediatricians, allergists, neurologists, sport medicine doctors, gastroenterologists and more, combined with a kid-approved, interactive environment. TORONTO, ON (July 5, 2017) - Visits to the doctor’s office will be met with newfound excitement by families in the Greater Toronto Area, as they celebrate the opening of Kidcrew, a brand new progressive, pediatric clinic located at the corner of Bathurst Street and St. Clair Street West (1440 Bathurst Street, Toronto, Ontario). This one-of-a-kind facility, owned and operated by child health expert Dr. Dina Kulik, provides a one stop solution for kids’ health, accompanied with distractive entertainment; including kid-approved perks such as a toy-filled ‘klubhouse’ and an interactive children’s playground. Spanning over 7,500 square feet, Kidcrew is home to a medical crew of over 30 specialists including: pediatricians, dentists, allergists, dermatologists, ear, nose and throat specialists, gastroenterologists, endocrinologists, hematologists, otolaryngologists, neurologists and sports medicine doctors; along with a wellness crew of lactation consultants, dietitians, psychologists, occupational therapists, physiotherapists, sleep clinicians, speech and language pathologists. Also in house: a soothing baby feeding room (dubbed the ‘milk bar’), and a private surgical recovery space. In addition to the services offered by the medical, wellness and dental crews during regular business hours, Kidcrew also provides seven-day a week after hours care, open to both patients and non-patients; ranging Monday to Friday from 5:30 p.m. to 7:30 p.m., and on weekends from 10 a.m. to 3 p.m. Services coming soon to the facility lineup include an audiologist, cardiologist, massage therapist, optometrist, respirologist and social workers. “As a mother of (almost) four young children, I know the value of time-saving solutions in a busy household — Kidcrew provides just that, plus a non-traditional, fun environment for kids,” adds Dr. Dina Kulik. For a video tour of Kidcrew, click here. To book an appointment at Kidcrew, please visit http://www.kidcrew.com, email medical@kidcrew.com or phone 416.654.KIDS (5437). Kidcrew is a forward-thinking clinic focused on patient experience, family centered-care and wellness for children and families of all ages. From pediatricians, to allergists, neurologists, sport medicine doctors and gastroenterologists, we have your family covered from head to toe. Dr. Dina Kulik completed her Pediatrics Residency and Pediatric Emergency Medicine Fellowship at the Hospital for Sick Children, where she is a Staff Physician. Dr Dina is one of Canada’s leading child health media experts, providing child health information through television, radio, print media and via her blog DrDina.ca. Above all, Dina’s greatest joy is her family and being the mom of three crazy boys. Here are our Top 10 PR Pro Tips for this week, selected by the Embrace Disruption PR team from Twitter. 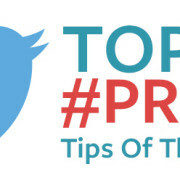 Remember to submit your own PR pro tip using the hashtag #PRTip or #PRTips. Your tweet could be featured here next week! TORONTO, ON (May 23, 2017) ‐ On the evening of Thursday, June 8, 2017, Community One Foundation will hold a community celebration at The 519 Community Centre (519 Church St., Toronto), which will feature a presentation of the Community One Foundation Rainbow Grants and a number of panels featuring current and past grant recipients, along with highlighting LGBT programs and initiatives in the Greater Toronto Area including Durham, Halton, Peel and York region. The Rainbow Grant program, which began in 1980, is one of many foundation initiatives supporting the LGBTTIQQ2S community, funded through donations from individual donors and corporate partners. For over thirty years, Rainbow Grants have helped nurture the early days of many Greater Toronto LGBTTIQQ2S community initiatives, grassroots projects, established organizations and one-off projects. The Grants are awarded in three different tiers; General (for projects or people that are not a part of an organization, charity or corporation), Foundation, and the Royal Bank of Canada (RBC) Community Award of $10,000 (donated by RBC). Autistiqueers – the first autistic queer/trans-led support and action group in Toronto. Autistiqueers aims to create queer/trans autistic community both by and for ourselves. Their first project is to create a zine of stories about autistic queer/trans people from their perspective. Queen of Hearts - a short film about an all-powerful, black, supernatural Queen in a fictional Victorian kingdom. The film is a magical infusion of West African culture in a historically European setting. It offers a creative glimpse into the life of a complex Queen whose world is shattered. 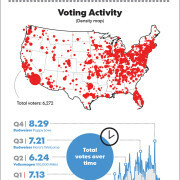 Out to Win (Proud Politics) – a project that seeks to address the low number of LGBTTIQQ2S individuals in elected office and strengthen the networks and ties among those candidates and organizers to build their collective capacity to become civic leaders and champions of inclusive public policies. Hall of Justice – works with youth to explore contemporary and historical social movements and the work of activists in 2SLGBTQ (Two Spirit, Lesbian, Gay, Bisexual, Trans, Queer) communities. Bi Arts Festival – The Bi Arts Festival (September 22-24, 2017) will celebrate and promote bisexual visibility, culture and history through a weekend of community events including an art exhibit, a pop-up craft market, author and poetry readings, Wikipedia edit-a-thon, a zine, and a screening of independent film and video by bisexual filmmakers. Toronto Arts Book Fair x Zine Production & Exchange Program – Paperhouse Outreach Collective has partnered with Toronto Art Book Fair (TOABF) and SKETCH to facilitate a week-long artists’ book and zine workshop, ZIPE (Zine Production and Exchange), in Artscape Youngplace is for 14 youth and young adults who identify and/or ally with LGBTTIAQQ2S, disabled, and POC communities. Unexpectedly Trans: Holding Hands with the Awkward (Hanlon McGregor and Mihaly Szabados) – a play about a 40-year-old married mother of two – Gina – who begins a gender transition to identify as Dan, a queer, trans father. He must come out to his partner, his young children, his family and his community. Both big and small hearts are challenged. Healthier Selves, Healthier Relationships, Healthier Communities (Ontario Rainbow Alliance of the Deaf) – provides a ten-week workshop series for LGBTQQ2SIA Deaf community members. Asians in Motion II: LGBTTIQQ2SA Youth Forum (Asian Community AIDS Service) – a full-day community forum designed by and for self-identified East & Southeast Asian LGBTTIQQ2SA youth in Toronto and the GTA. The project goal is to increase youth capacity, and peer support network through training, awareness raising activities that will promote community leadership, communication, and advocacy. Developing a Life Coaching Model for Asian Trans Women (Asian Community AIDS Service) – this project aims to develop a person-centred life coach model for Asian trans women to guide them in their journey to transitioning. 10-15 Asian trans women will be engaged by supporting their transitioning in the areas of real life experience, social and emotional well-being, disclosure, and other life challenges. Boys In Chairs (Boys in Chairs Collective) – a devised, collective theatre piece that explores the specifics of three men’s experiences as queer disabled men. An Intergenerational Gathering Telling the History of Toronto’s Black Queer Community (Intergenerational Gathering Planning Committee) – a one-day event bringing together the different generations of Toronto’s Black queer communities to share stories and learn about their history, to acknowledge and honour those involved in community building over the years including Black queer ancestors, and to celebrate the transformative work of community building. Rainbow Outings and Art-Making: Seniors Celebrate Toronto Together (Sunshine Centres for Seniors) – this project will give LGBTQ seniors opportunities to celebrate Toronto’s diverse history through outings, walking tours, art-making and educational presentations. The project will enhance the health and wellness of LGBTQ seniors by providing social interaction, physical exercise, cognitive stimulation, and the chance to creatively express themselves through various artistic activities. Youth Workshop Program (Buddies in Bad Times Theatre) - a free workshop series for queer youth that offers skills building and mentorship in various areas of performance, storytelling, and theatre. Trans & Gender Diverse Community Drop-in / Working Group Meetings (Trans & Gender Diverse Community Working Group) – an open space with optional activities provided for Trans & Gender Diverse people in West-Toronto. Some sessions will include outside facilitators for key groups within the Trans & Gender Diverse Community. The open meetings are accessible, community-led meetings in which all Working Group planning is done. PFLAG Teens & Tweens (PFLAG Durham) – a new youth services program that targets adolescents from aged 11 to 17 dealing with gender identity discrimination. This program provides a safe, affirming, positive space for these youth to connect, socialize, learn and share with others in facilitated creative, educational and social activities. Heart to Heart: Queers Creating Better Relationships (Laura Krahn) – a 10-week group for LGBTQ spectrum women and nonbinary people aged 30-49 who want to create more fulfilling relationships. Participants will define “better relationships” in their own terms; explore what they need/want from themselves and others; build skills to negotiate conflict; and share knowledge and experience, making the community stronger. SOY Youth Capacity Building through Volunteer Anti-Oppression Training (Supporting Our Youth) – will develop, implement, facilitate and evaluate a workshop that will provide crucial anti-oppression training to all current and future SOY volunteers and adult mentors. Trans Collections Project (Canadian Lesbian and Gay Archives) – arrange, describe, digitize and create research aids for three trans collections: Denise Hudson (Transvestites in Toronto), Rachel Lewis (various trans groups) and OneSong Transgender Support Services in Regina, SK. Collect material from trans elders in the community. Ladies and Gentlemen, Boys and Girls (Roseneath Theatre) – Roseneath Theatre will develop and tour “Ladies and Gentlemen, Boys and Girls” by Dave Deveau, a play that deals with gender identity, empathy and integrity to elementary schools throughout the GTA. Building Pride, Music & Belonging in the City of Toronto (Singing OUT, Toronto’s LGBTQ+ Community Chorus) – A June concert theme of “One Love” will speak to loving one’s self, loving others and loving our community. It will reach extended levels of inclusiveness, highlighting young, Canadian and LGBTQ+ composers and artists. Focus will also be on Indigenous pieces that will tell a story of love, history and advancement. A parallel story of LGBTQ+ rights will be woven into the performance through narration by choir members. Transitional Gender Project (LOFT Community Services) - this project will provide intensive, one-on-one, stigma-free coordinated support, and access to trans-positive services and transitional housing for trans people with multiple challenges (mental health issues, addictions, homelessness), who self-identify as wanting to transition or currently transitioning. Established in 1980, Community One Foundation provides grants to LGBTTIQQ2S community projects in Greater Toronto Area including Durham, Halton, Peel and York Regions, focusing on the areas of arts and culture, health and social services, and research and education. The Foundation also promotes community philanthropy through strategic partnerships such as the Bill 7 Award and the LGBT Giving Network. Royal Bank of Canada is Canada’s largest bank, and one of the largest banks in the world, based on market capitalization. We are one of North America’s leading diversified financial services companies, and provide personal and commercial banking, wealth management, insurance, investor services and capital markets products and services on a global basis. We have over 80,000 full‐ and part‐time employees who serve more than 16 million personal, business, public sector and institutional clients through offices in Canada, the U.S. and 37 other countries. For more information, please visit rbc.com. Themed “In the Spirit of Wellness & Healing”, as tribute to the indigenous community, the annual event will take place on June 20, 2017 at 9 p.m.
TORONTO, ON (May 23, 2017) – On the evening of Tuesday, June 20, 2017, thousands of LGBTTIQQ2S+ community members will remember, honour and celebrate those who have passed from AIDS or AIDS related illnesses, or have given their lives in the fight against HIV/AIDS at the 33rd annual Toronto AIDS Candlelight Vigil held in Barbara Hall Park (519 Church Street, Toronto) at 9:00 p.m. 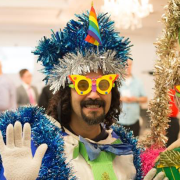 The evening will be hosted by Leonard Benoit and Louise Binder, and will include performances from FORTE Toronto Gay Men’s Chorus, Ballet Creole, Francois Gallant and Bernice Chan. The event will close with a reading of the names of those who have passed from HIV/AIDS or AIDS related illnesses, followed by a candle lighting ceremony. Benoit, who holds registration with the College of Nurses of Ontario as a Registered Practical Nurse, works as a Client Care Coordinator in the Indigenous Community, where he provides a variety of services to those that have or are affected by HIV/AIDS. Binder, a lawyer and health advocate, started her work in this area in the HIV community in the early 1990s after her own diagnosis and before effective treatments were available for HIV. Binder also co-founded the Canadian Treatment Action Council (CTAC) in 1996, which successfully ensured access to treatments and quality care for people living with HIV by working with the federal and provincial governments and other relevant stakeholders to enhance drug review and approval systems, pricing policies and access to liver transplants for this community. 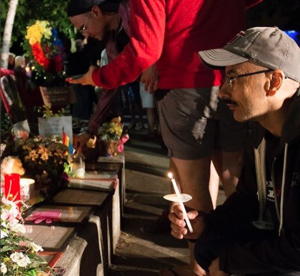 The names read prior to the candle lighting ceremony will be engraved on the long-standing AIDS Memorial in the heart of Barbara Hall Park. 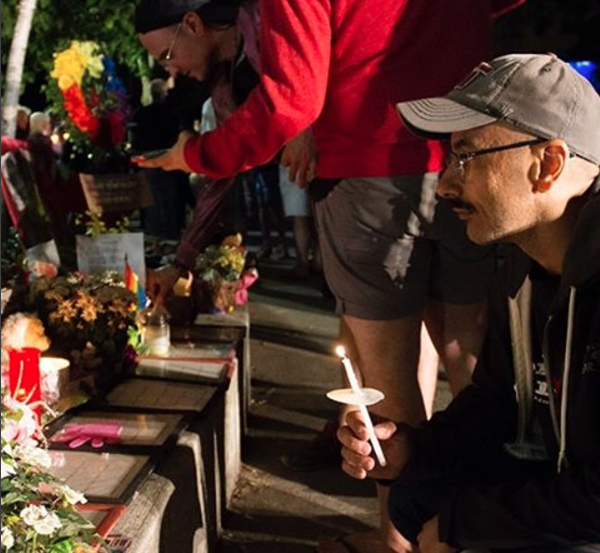 The AIDS Candlelight Vigil is an open community event held annually at the AIDS Memorial to remember, honour and celebrate the people who have died of AIDS or AIDS related illnesses, or who have given their lives in the fight against HIV/AIDS. 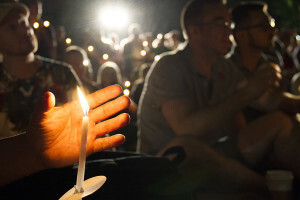 Every year, thousands of candles are lighted to honour and remember those who have died, and to encourage and support the tens of thousands of others who live with this disease every day. 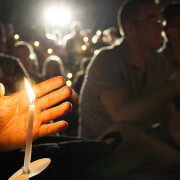 The Vigil embraces diversity, accepting and respecting people of all cultures, faiths, traditions and communities. The Vigil welcomes all people who have been infected or affected by HIV/AIDS and embraces anyone who has experienced a loss or losses due to HIV/AIDS. 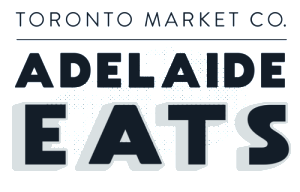 TORONTO, ON (May 18, 2017) – For a third consecutive year, Adelaide Eats (formerly Front Street Foods), will return to the second floor terrace of Adelaide Place (150 York Street — at the corners of both Adelaide/University Avenue and Adelaide/York), to tempt the tastebuds of thousands, with dishes and delicacies designed by Toronto’s best chefs, restaurants, bakers, food entrepreneurs, and artisanal food makers. 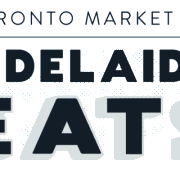 With mouth-watering options sure to satisfy any palate, this year’s market, presented by Toronto Market Company (TMCo.) and Dream Office REIT, will be open for the public to enjoy weekdays beginning June 1, 2017 to July 28, 2017; Monday through Wednesday: 11 a.m. to 3 p.m., and Thursday and Friday: 11 a.m. to 9 p.m..
New this year to Adelaide Eats, the market welcomes a “T.O.’s FINEST Dessert Bar” which will feature a rotation of the city’s most exciting dessert vendors over the market’s eight week run. Conveniently located on the second floor terrace accessible directly from the street by an outdoor staircase at Adelaide Place (at the corner of York and Adelaide and also accessible from University and Adelaide), Adelaide Eats provides access to the perfect daytime snack, a satisfying lunch solution, or a delicious after-work bite. Cassia Northern Thai (June/July) — Authentic Northern Thai dishes; like hand-pounded curries and salads, made with thoughtfully sourced, premium ingredients from land and sea. District 28 (June/July) — Specializing in local comfort food, made to order, their Adelaide Eats menu will focus on healthy yet hearty bowls that can be enjoyed day after day. Fish’d by EDO (June/July) — Try Toronto’s original hand crafted sushi burritos and Hawaiian poke (pronounced POH-keh) bowl, featuring an array of inspired ingredients. Kaboom Chicken (July) — Combining Korean flavours with Western food practices to create amazing dishes like their crunchy Korean Fried Chicken. The Kathi Roll Express (July) — Presenting Indian-style wraps, Indian-fusion burrito’s, chaat appetizers & Kulfi ice cream desserts to satisfy both meat lovers and vegetarians. La Fiesta (June/July) — Authentic Ecuadorian cuisine including their wildly popular Paella con Mariscos. Little Fin (June/July) — Known for their fish and chips and light salad options. Mikey’s (June) — Delivering a Caribbean-focused menu with an emphasis on Jerk flavour. Momofuku Noodle Bar (June/July) — Specializing in amazing tasting, high-quality Asian foods with a focused menu of steamed buns and noodle dishes. Toben Food by Design (June/July) — Try fresh, local and innovative creations, crafted from flavours and regions across the globe by Toben Kochman, a Cordon Bleu School of Culinary Arts in Paris alumnae. Wahlburgers (June/July) — High quality, simple, down home burgers with flavour that speaks for itself. 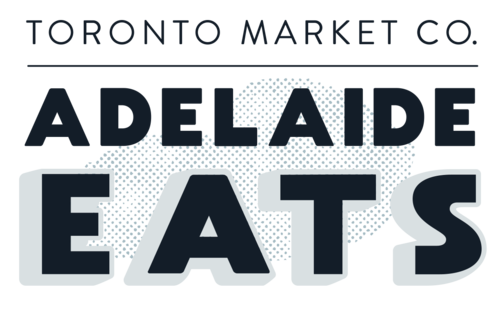 Visit http://www.adelaideeats.com for a full list of vendors and more information. Toronto Market Co.’s mission is to create vibrant pop-up markets in our city that showcase Toronto’s best and celebrate Toronto’s spirit. Successful events include Front Street Foods / Adelaide Eats, Farmers’ MRKT, Yorkville Village Summer MRKT, and Scotia Plaza Farmers’ Market. We love to create avenues for local designers, artisans, chefs, entrepreneurs, bakers and makers to showcase their goods and inspire others. Dream Office REIT is an unincorporated, open-ended real estate investment trust. Dream Office REIT is focused on owning, acquiring, leasing and managing well-located, high-quality central business district and suburban office properties. Its portfolio currently comprises approximately 23.3 million square feet of gross leasable area in major urban centres across Canada. Dream Office REIT’s portfolio is well diversified by geographic location and tenant mix. For more information, please visit www.dreamofficereit.ca. Top raw foods chef Heather Pace shares nutrient-rich food ingredients for improving overall health and well-being. TORONTO, ON (February 16, 2017) - March 1st, 2017 marks the beginning of National Nutrition Month, a 30+ year old campaign designed to focus on bettering food choices and developing improved eating and physical activity habits for Canadians. According to StatCan in 2014, 20.8% of Canadians over 18 were classified as obese, with poor eating choices acting as a major contributor. To help incorporate more nutrient-based items into Canadian diets, Victoria-based raw foods chef Heather Pace shares five lesser-known ingredients that pack flavour and function into everyday recipes. 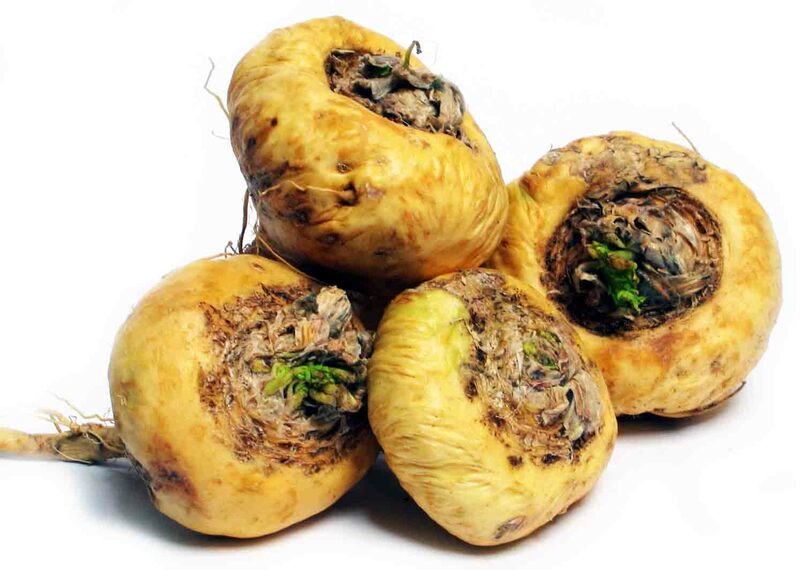 With over 20 amino acids (including eight essential amino acids), this South American root (also known as Peruvian ginseng) is great for libido, fertility, memory, focus, and energy. Known as an adaptogen, this root helps with the body’s response to stress. 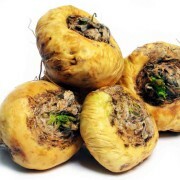 It can be purchased in powdered form and has a pleasant malty taste that can be used in desserts, smoothies and other drinks. Most famously known for its anti-inflammatory properties and high iron content, this spice from the ginger family also helps balance blood sugar and loosen stiff joints. Turmeric is commonly used in curry powder and has a strong taste, but can be added to most soups, dips, salad dressings, tea, smoothies, and even desserts. It can be used fresh or in powdered form. Dubbed “the healthiest new oil” for its lack of cholesterol, trans fats and high content of vitamin E, avocado oil comes from the fruit flesh, rather than the seed like most oils. Avocado oil assists the body in absorbing important nutrients and has been found to lower cholesterol and blood pressure. Because of its neutral flavour, avocado oil is a great option for salad dressings, dips, baking and cooking. High in antioxidants, minerals, vitamins B, K and D, the chaga mushroom grows on birch trees in Canada, Northern United States and Russia. 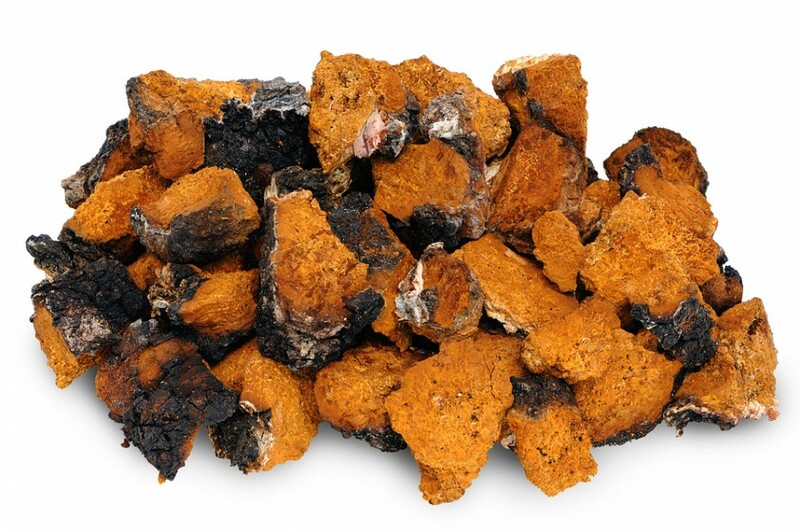 A source for natural energy, chaga can be made into a tea that has vanilla and maple properties to it. Chaga can also be added to smoothies or used in desserts like cheesecakes, puddings and pies. High in vitamin C and iron, hibiscus is a tropical flower with a tangy, cranberry-like flavour. Also high in antioxidants and an abundance of minerals, hibiscus helps to boost immunity, decrease inflammation, and works as a natural diuretic. In its dried form, the flower can be used in a variety of smoothies and desserts like this lemon hibiscus raspberry cheesecake! Incorporate some of these ingredients together in a delicious raw chocolate superfood shake formulated by Pace with a recipe found below. 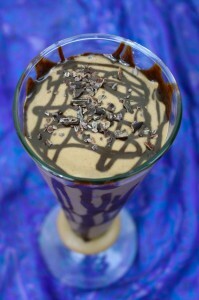 To find out more about Heather Pace and her raw food creations, please visit http://www.sweetlyraw.com. Heather Pace’s love of food led her to the completion of a classical culinary program at Fanshawe College at the age of 21. She used her valuable skills and experience to create healthy vegan, and later raw vegan versions of traditional foods. Heather has worked in various restaurants, bakeries, juice bars, as a personal chef, in recipe development and is currently the is the owner of Sweetly Raw Desserts company in Victoria, B.C. She is the published author of Sweetly Raw Desserts (Quarry Books) and writes a popular blog called Sweetly Raw that is filled with hundreds of healthy gluten free/vegan recipes, beautiful photos, and her seven raw dessert e-books. Heather posts daily on her mouth watering Instagram account and also has a new Youtube Channel where she shares delicious and creative recipes. With a passion for educating people on how to incorporate more plant based options into their diet in a fun and tasty way, Heather teaches raw food classes in different cities. With her own voracious sweet tooth, her motto is “Have your cake and eat it too”, and really focuses on showing people how they can make and enjoy incredible guilt-free desserts that can even help with weight loss! Heather is also a certified yoga instructor. Blend the chilled chaga tea and cashews until smooth, creating a milk. Add remaining ingredients (starting with 4-5 ice cubes) except cacao nibs and blend until smooth, using the tamper of the vita mix to push down. The mixture is thick. Taste. Add more ice if you like, or a few drops stevia if you want it sweeter. Depends how much cacao powder you add.Add cacao nibs and blend for a few seconds to break them down. Drink immediately! Beloved ice cream brand brings new almond-based options curb side, just in time for Valentine’s Day. TORONTO, ON (February 8, 2017) – Beginning this Valentine’s Day, Toronto residents will be able to order pints of Ben & Jerry’s ice cream on-demand. 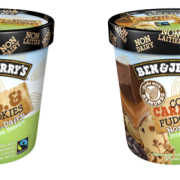 The new delivery service, which will be made available into summer 2017, includes three popular flavour options: Cherry Garcia®, Half Baked®, Chocolate Chip Cookie Dough and introduces two hotly anticipated non-dairy flavours: P.B. 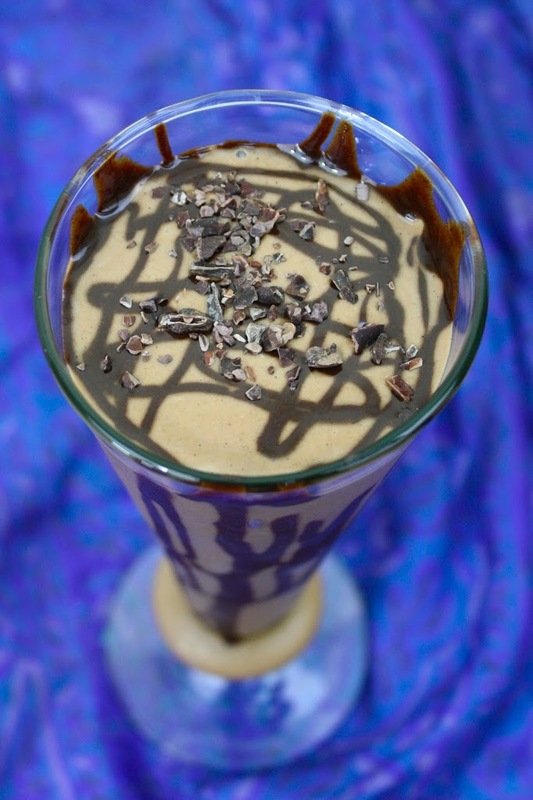 & Cookies Non-Dairy Frozen Dessert and Coffee Caramel Fudge Non-Dairy Frozen Dessert. Valentine’s Day is one of the most important days of the year for Ben & Jerry’s. With on-demand delivery, Ben & Jerry’s wants to make it easier for both singles and couples to ‘Netflix and chill’ with a tasty pint by their side. To order one of the five pints available, customers can simply visit http://benandJerry.urbery.com, where they will enter in location details (delivery subject to availability in select areas), select a scheduled or same-day delivery time, and then complete purchase with payment. Pints will be available for $8.99 for traditional flavours and $9.99 for non-dairy, plus a $4.99 delivery fee. Delivery is free of charge if three or more pints are purchased. Ben & Jerry’s on-demand delivery will be made available February 14, 2017 from 12:00 p.m. to 10:00 p.m., and following Valentine’s Day: Monday to Sunday from 5:00 p.m. to 10:00 p.m. As a special promotion on Valentine’s Day only, customers can buy one pint and get one free with the use of promo code SHARETHELOVE (case sensitive). As an aspiring social justice company, Ben & Jerry’s believes in a greater calling than simply making a profit for selling its goods. The company produces a wide variety of super-premium ice cream, yogurt and sorbet using high-quality ingredients. Ben & Jerry’s incorporates its vision of Linked Prosperity into its business practices in a number of ways including a focus on values-led sourcing. In 2015 the company completed its transition to sourcing Fairtrade-certified ingredients wherever possible, which benefits farmers in developing countries. Ben and Jerry’s products are distributed in 35 countries in supermarkets, grocery stores, convenience stores, franchise Ben & Jerry’s Scoop Shops, restaurants and other venues. Ben & Jerry’s, a Vermont corporation and wholly-owned subsidiary of Unilever, operates its business on a three-part Mission Statement emphasizing product quality, economic reward and a commitment to the community. Ben & Jerry’s became a certified B Corp (Benefit Corporation) in 2012. The Ben & Jerry’s Foundation’s employee-led grant programs totaled $2.5MM in 2015 to support economic and social justice, environmental restoration, and peace through understanding. For the inside scoop on Ben & Jerry’s visit www.benandjerrys.ca. TORONTO, ON (January 31, 2017) - Comedian, actress, television host and best-selling author Carla Collins is making her triumphant return to Yuk Yuk’s Comedy Club (224 Richmond St W, Toronto, ON) to perform six instalments of her award winning stand-up comedy show this February. Collins’ show, which takes place the evenings of February 8 – 12, 2017, is a fusion of cheeky pop culture references, hot topics and hilarious tales of her life in Los Angeles, and will be recorded for Sirius XM Canada Laughs. In addition, Collins is slated for four additional performances at comedy venues in Mississauga, Ottawa, Guelph and Barrie. From hosting Canada’s highest rated entertainment show “eNow” to starring in her hit network television series, “Carlawood”, Collins has become a prominent and well respected figure in the Canadian entertainment scene. Carla’s first solo stand-up special, “The Wonder Bra Years”, aired on The Comedy Network, becoming one of the highest rated in the network’s Comedy Now series. Hailed as the “Queen of Comedy” and “Canada’s Tina Fey” by Canadian press, Carla can currently be seen as a celebrity panelist on Super Channel’s comedy/variety series “Too Much Information” and is also a regular celebrity gossip and fashion commentator on Breakfast Television. Since moving to Los Angeles, Collins was named “the funniest woman in comedy” by BeautyStyleWatch magazine and headlines clubs and theatres all over North America. She has become a staple in the stand-up community, performing at venues such as The Hollywood Improv, The Comedy Store, The Jon Lovitz Club and Flappers in LA. Carla has also been featured in Just for Laughs, the Los Angeles Comedy Festival, and the Vancouver Comedy Festival. Recently, Collins was awarded the prestigious Comedian Of The Year Award by the Southern California Motion Picture Council and is currently filming “The Last Laugh” a sitcom she created about performing stand-up at funerals. Collins can also be found in her new web-series entitled “Carla Collins Comes Clean”, which features Collins speaking to camera in a bubble-filled bathtub, presents the comedian sharing personal stories in an uninhibited and no-holds-barred manner. Although based in Los Angeles, Carla frequently returns to Canada to perform stand-up shows in Ottawa and Toronto, Ontario; Calgary, Alberta; Vancouver, British Columbia; St. John’s, Newfoundland; Montreal, Quebec; and St. John, New Brunswick. Wednesday, February 8, 2017 – 8:00 p.m.
Thursday, February 9, 2017 – 8:00 p.m.
Saturday, February 11, 2017 – 8:00 and 10:30 p.m.
Sunday, February 12, 2017 – 8:00 p.m.
Stir Kitchen & Beverage Co.
Thursday, February 16, 2017 – 8:00 p.m.
Friday, February 17, 2017 – 8:00 p.m.
Friday, February 24, 2017 – 6:30 p.m.
Carla Collins is an award-winning comedian, actress, television host and author of the best selling comedic self-help book Angels, Vampires and Douche Bags. Carla headlines comedy venues across the US and Canada and the Huffington Post calls her “hilarious, masterful and belly-achingly funny.” Collins is currently filming The Last Laugh, a sitcom she created loosely based on her life in LA performing stand-up comedy at funerals. Super Bowl Sunday is just around the corner — and we can’t wait! Specifically, we’re looking forward to the show-stopping halftime performance from Lady Gaga, and the dozens of new commercials bound to premiere in-between the quarters.